1. Cook 1/2 cup sprouted quinoa in 1 cup water. Put in pot, bring to a boil, then allow to simmer for 20 minutes. Once finished allow to cool and store in refrigerator until ready to prepare. 2. Combine cooked quinoa and rest of ingredients in a bowl and mix. 3. Preheat oven/toaster oven to 375F. 4. 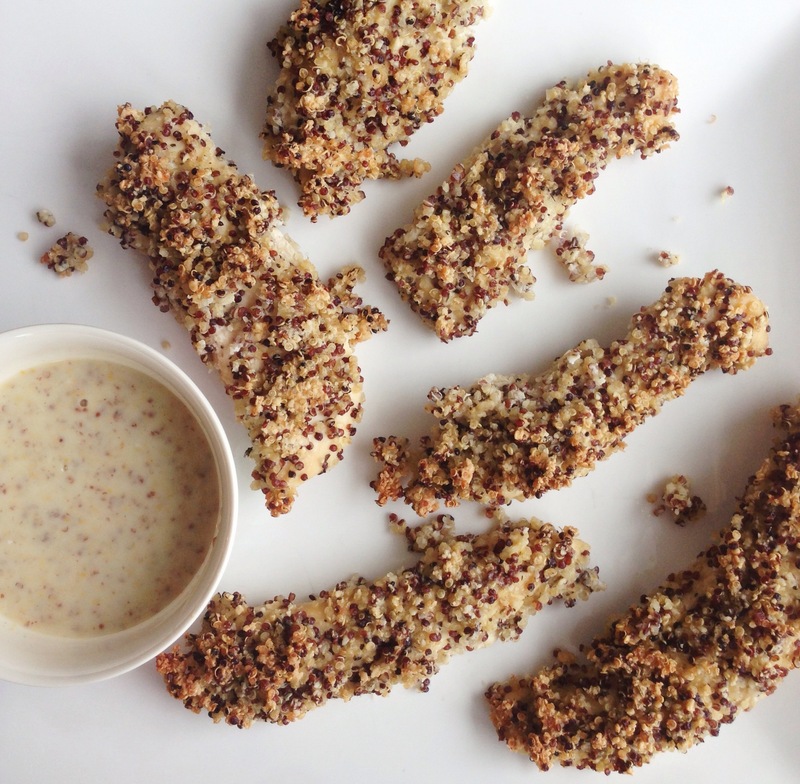 Chop chicken breast into chicken strips and coat each one completely in the quinoa mixture. 5. Put on a baking sheet lined with tin foil. 6. Bake for ~35-40 mins until browning and chicken is cooked thoroughly throughout (no pink). Note: if you have a nut allergy … Swap the almond flour for an oat flour to keep it gluten-free and make it also nut-free!